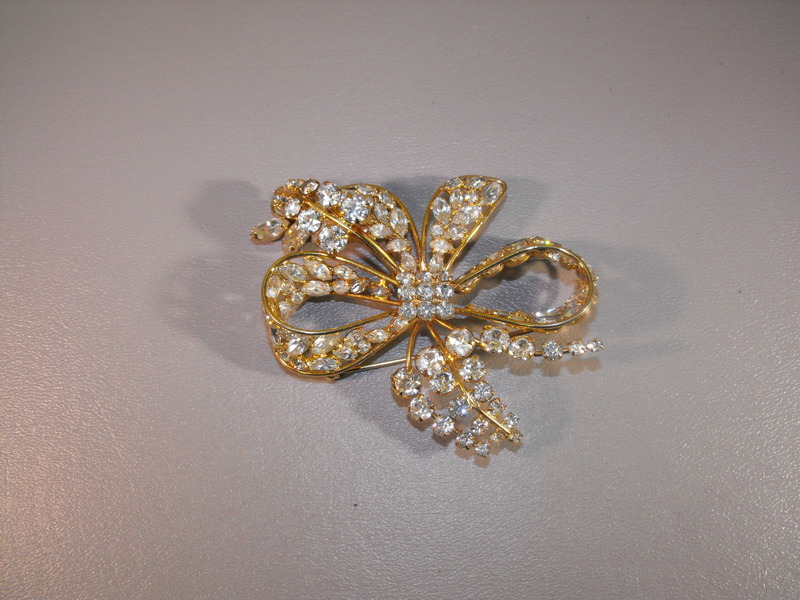 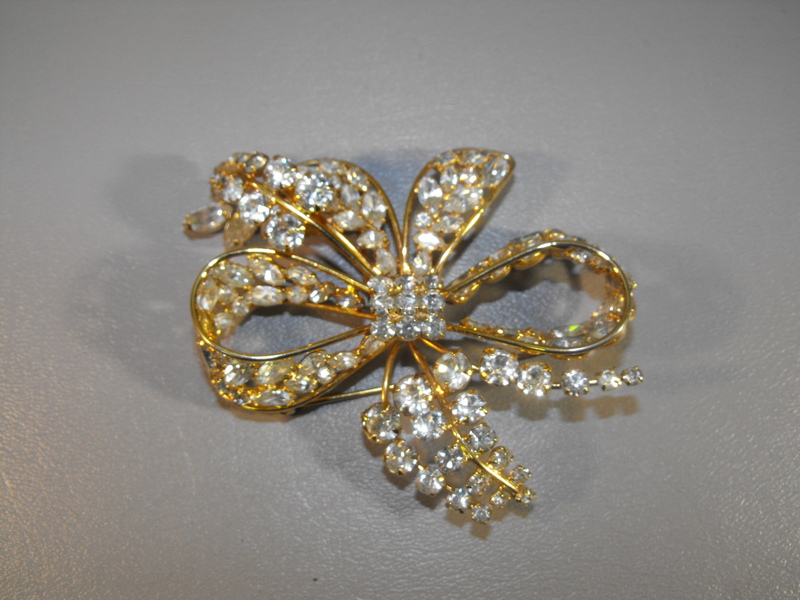 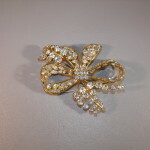 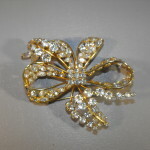 Straight from the 1950’s is a very classic Napier signed bow and leaf design white Rhinestone Pin. 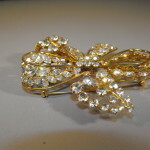 All of the stones are individually prong set and all are original. 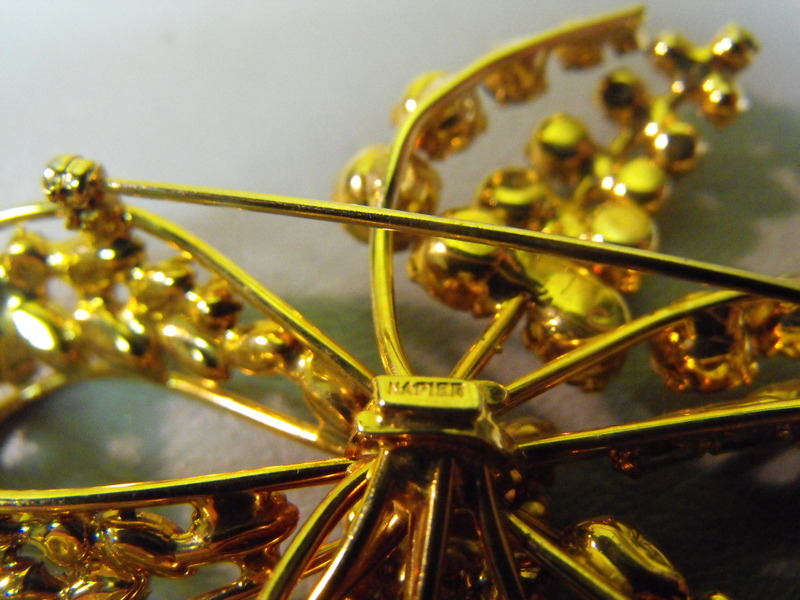 The pin bears the Napier signature on the back. 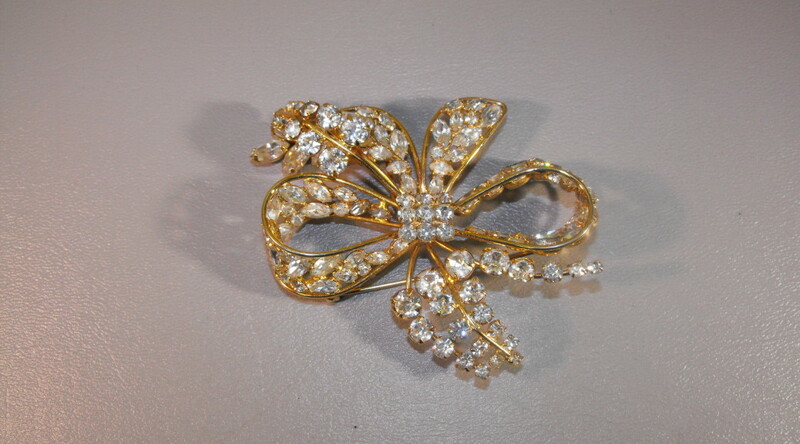 The pin is in pristine condition with all the original stones intact. 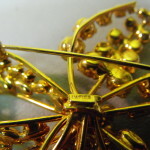 The pin measures about 3″ wide and 3″ on the diagonal. 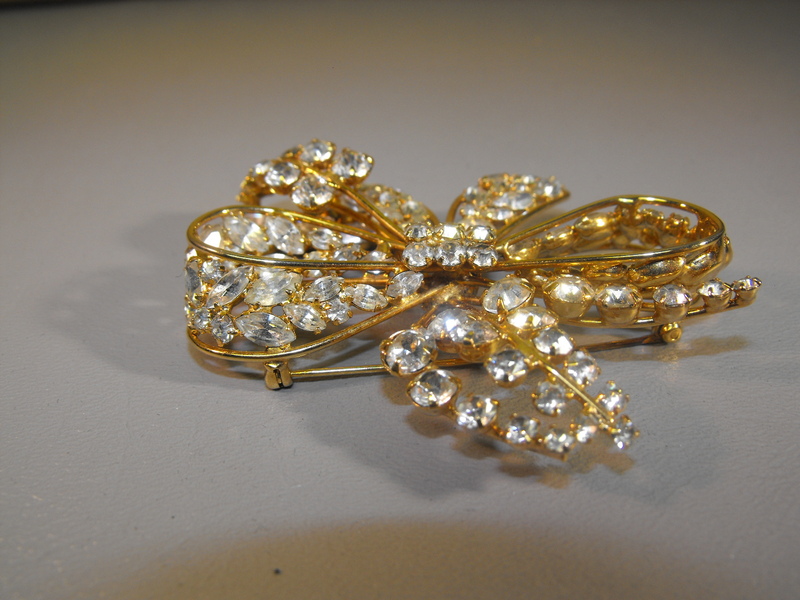 So…..no matter the year, we think this piece makes a timeless statement. 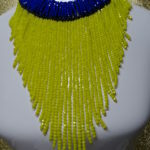 First time buyers receive up to a 20% discount, please click HERE for the details.